Mission accomplished, with The Soul Of The King making a bracing return to some of King‘s greatest cuts. There‘s a heartfelt turn from Michael Lee on The Thrill Is Gone. Mary Griffin and Taj Mahal combine their vocal and guitar talents on Paying The Cost To Be The Boss. Kenny Neal lends poignant vocals and licks to Sweet Little Angel. "Recording with the different artists and the band was an enlightening experience," reflects Harvey. "Everyone came in prepared, but when Mary Griffin came to record, she came in all bubbly - and nailed her vocals in two takes." 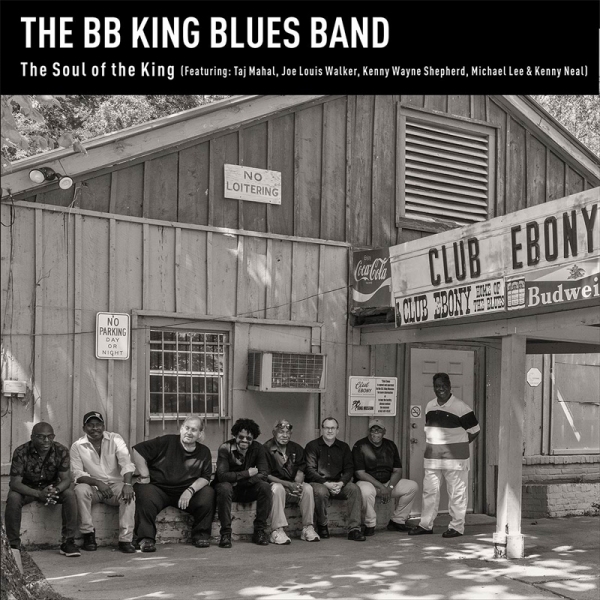 They might have an illustrious history, but The Soul Of The King reminds us that The B.B. King Blues Band are a lineup moving forward, writing a love-letter to their fallen leader while staking their own claim in the modern era. "When we started this album, we wanted to let the world know the B.B. King Band is live and well," explains Harvey. "And that we are continuing B.B.‘s musical legacy " Choosing songs from King‘s sprawling catalogue could have been an ordeal. But for The Soul Of The King, the lineup made a smart move, letting the A-list guests dictate the material. "As the name artists joined the project," remembers Harvey, "we picked songs from B.B.‘s catalogue that we felt fit their voices. Our approach was not to stray too far from the original, but still to make it fresh. I want the world to remember B.B. and to introduce his music to the youth of today."